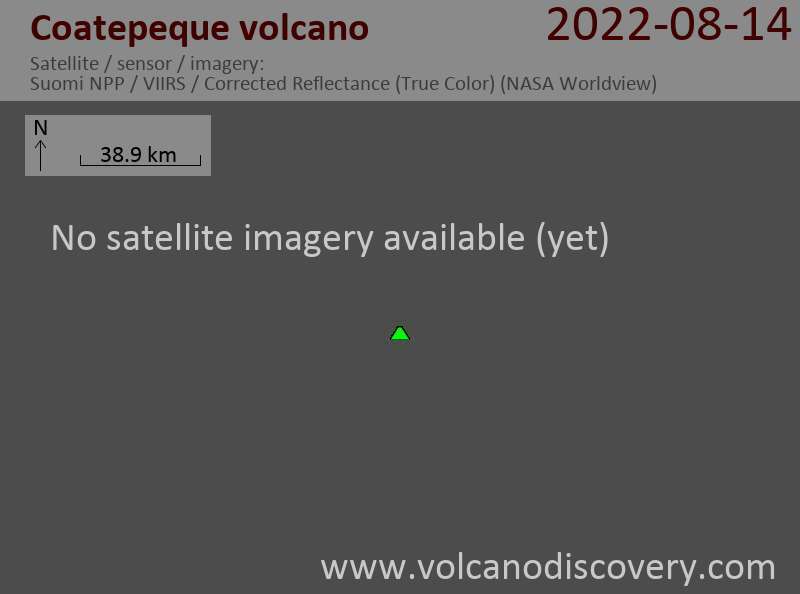 Coatepeque volcano is a large 7 x 10 km wide caldera 50 km west of San Salvador city. The caldera is elongated in SE-NW direction, with walls rising up to 800 m above the floor in its southwestern part. An up to 120 m deep and 5 km diameter lake occupies the eastern part of the caldera. Hot springs occur near the lake shores, but there are no certain historical eruptions from Coatepeque.